Vassily Yemelin comments on game Topalov - Morozevich from the seventh round of Morelia/Linares super tournament. Vassily Yemelin comments on game Anand - Morozevich from the fourth round of Morelia/Linares super tournament. Vassily Yemelin comments on games from the third round of Morelia/Linares super tournament. 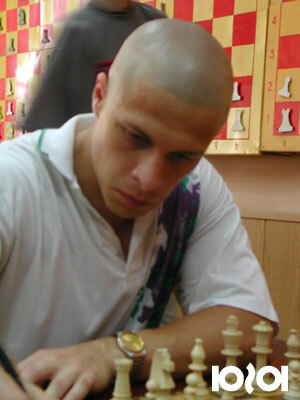 Vassily Yemelin comments on the game Aronian - Carlsem from the second round of Morelia/Linares super tournament. Vassily Yemelin comments on the game Ivanchuk - Leko from the first round of Morelia/Linares super tournament. The contest that assembled the outstanding representatives of modern chess to commemorate the great player of the other epoch is over. It’s time to take a look at the event as a whole and give some evaluations of the course of fight and the tournament path of every player. We bid comments to the games of round 8 of Tal Memorial by GM Vassily Yemelin for your attention. We bid comments to the games of round 7 of Tal Memorial by GM Vassily Yemelin for your attention. We bid comments to the games of round 6 of Tal Memorial by GM Vassily Yemelin for your attention. Round 5 turned out to be a dead drawn day, the fact that hardly anyone could guess, when watching the games. We bid comments to the games of round 4 of Tal Memorial by GM Vassily Yemelin for your attention. In my opinion, the recent Dortmund tournament cannot boast about any global theoretical revelations. Crammers of the whole world can relax. Nevertheless, almost any game of the elite brings up a small opening finesse, and it is quite interesting to observe top grandmasters creating problems to each other outside the main theoretical roads. This article should be considered as a modest addition to my previously published article about the Dortmund. Grandmaster Vassily YEMELIN from St. Petersburg writes about the Dortmund Sparekassen ('savings bank' from German) tournament.